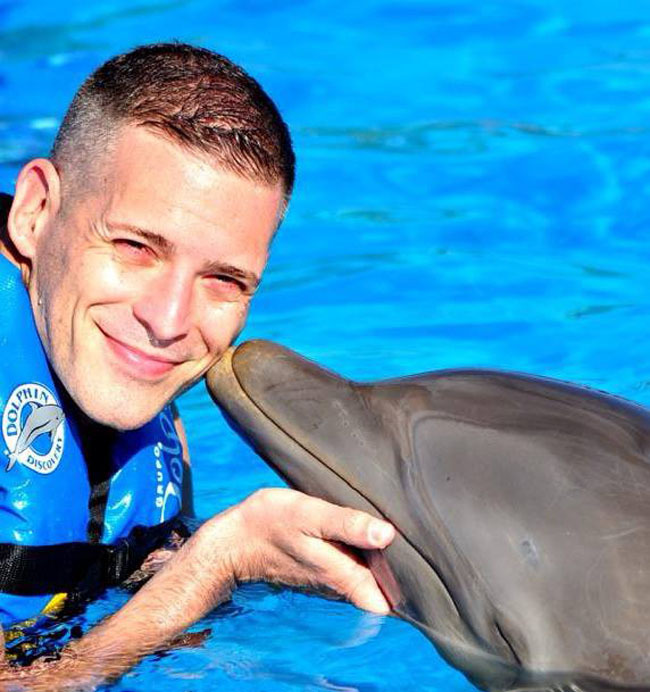 Archive by Category "Blogger Spotlight"
Today’s blogger is Carlos Melia, a Travel Agent/Travel Blogger/Concierge/Hospitality Consultant/Wedding Planner specializing in bespoke luxury experiences. With 25 years of experience in the luxury travel industry, he is sure to be the best guide you can have when it comes to tailoring your travel plans according to your tastes and inclinations. 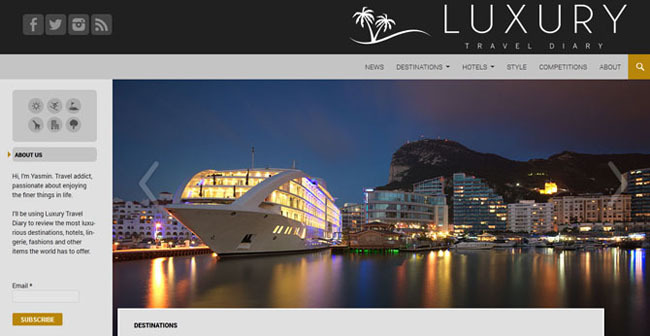 Direct access to exclusive suppliers and services makes him the best luxury travel curator you may have. Way before becoming a travel blogger, I have been a travel agent and I have a bachelor degree on hotel and restaurant management. Travel blogging happened as a consequence of that. Clients always asking where to go, where to eat, where to stay, what to do. At that time, I was mainly doing inbound travel to Buenos Aires, Argentina (where I am original from). So I decided to start a blog, with all the info. So when a client would ask me, I would just send them the link and done, instead of writing the same exact email over and over. Well so I did, and it become very popular by viral effect. The word-to-mouth began, and I started to receive invitation and pitches from around the world… from there one…. here I am. Like most successful blogger, you probably received hundreds of emails per month from luxury brands who want you to share their story. What makes you decide to work with a brand over the other? I base my decisions on those that represent true travel and life experiences foremost. If I see there is an interesting angle to cover, explore and share, then I am all over it. Other than that perhaps my second criteria goes by destinations. Finally I do consider travel icons… I love to experience them and learn about them, we do not have that many of them anymore. I always repeat myself, but the best one ever was and has been living with the elephants at the Four Seasons Tented Camp in the north of Thailand, in the region called Golden Triangle. Second best, to add something new, has been two of the Orient-Express Trains I did, once in Scotland and second from Thailand to Singapore. Hmmmm worst, ha ha …. in my case, anything that has to do with the heavenly island of Jamaica. I am not a fun at all. I read them, only if they are short and to the point. I keep the once I find an interest on….. and that’s it. I mean it helps me to be inform and up-to-date. Now I never do write ups or posts based on press releases. I am an experiential travel blogger, so I only report on things I have tried myself and based only on my own travel experiences. This is, I think, the key to my success. Over the years, I have managed to gain the respect and trust of clients and readers, based on this commitment. Any mean of communication is good, either conventional or unconventional. This way, in the past, I have managed to discover true gems that are completely off radar, and truly represent the soul and spirit of the destination and culture to feature. In your mind, what makes a successful blogger outreach program? Is it the incentive, the brand itself or the relationship you already have with the brand? In my case has always been the relationship you have with either the brand or the PR firm that represent them. This not only to their own products/services, but as a referral to fellow brands. Many times I have been referred from one group to the other, or even better, when one group sees the work you have done for their competition, then that’s the best introduction. For the last year and a half, I am in a full on love affair with Instagram. I think is the one that best allows me to express, show and share what I experience while traveling. It is also a great way to connect to new and potential brands. Instagram, but I must be bias here… since this is the one I spend the most time on, and people know can reach out to me instantly, regardless where in the world I am. Find a voice, find a niche, be consistent but don’t overdo it. I am guilty of all that, and over the years I have learnt, paid the price and still learning. Hmmmm I do every month or so. Anyhow they remind you periodically. The last I recall, my KLOUT Score was 68, but I must admit I don’t even know that it means, nor if its high or low. Brands approach me, because they know that I having been around for quite a while. I have managed to become a brand and referent. Despite that my readership is very diverse, brands are well aware that I have managed to become a referent for Luxury Gay Travel. This is a niche within the niche, one of the most difficult to access, and one of the most daunting to find the right ambassador to do it with. Over the years, groups like Belmond, Four Seasons, Mandarin Oriental among many others, have chosen and trust me as one of the few to carry their message to this affluent niche of market. Both. My business is my pleasure. I love what I do and I am very passionate about it. I grew up in a family of commercial pilots, I have been around the world three times and counting for the forth. As I become older, I have transitioned organically from back-packing to luxury travel. I have over 25 years of experience working within the travel industry, for travel agencies, hotels, airlines, printed and digital publications…. so travel it is my DNA. Yes of course. The ROI - Return on Investment, behind my blog, is that I am a full service Travel Agent. So most of my clients follow my travels around the world, looking for their next travel experience. It is not rare that I review a hotel or airline, and days after a client calls or emails me to book it based on my reviews. 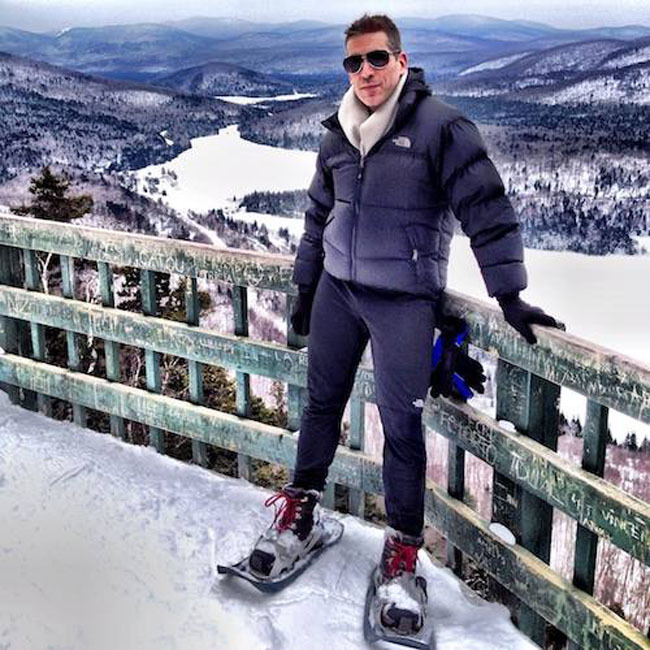 Other than that, I am the founder of LGTNetwork - Luxury Gay Travel Network. Our goal with this networking group, is to narrow the existing gap between mainstream luxury brands and the leading gay travel professionals, press, bloggers and influencers. Our pillars we cherish and promote are: Good-Fellowship, networking, communication, experience, education and trust. So there you see…. I have my blog CarlosMeliaBlog.com which mainly caters to the direct client and then LGTNetwork.org with caters to the travel professionals, conventional/unconventional press and influencers. Of course. But I think that those that are taking it seriously, do know that. Bloggers have come a long way in the last five years. I always remember my beginnings, seating at the end of the table, being the new kid on the block. Now I seat among the leading travel publications from around the world, offering a more dynamic and global approach. Do you manage more than one blog? If so, which ones? Ha ha ha …. I always joke about this. Life of champagne with salaries of beer. !!!! You are allowed to experience things, which many think impossible or unreachable. Have you rub shoulders with the rich and famous through your work as a luxury blogger? Yes… but that is not something that impresses me. 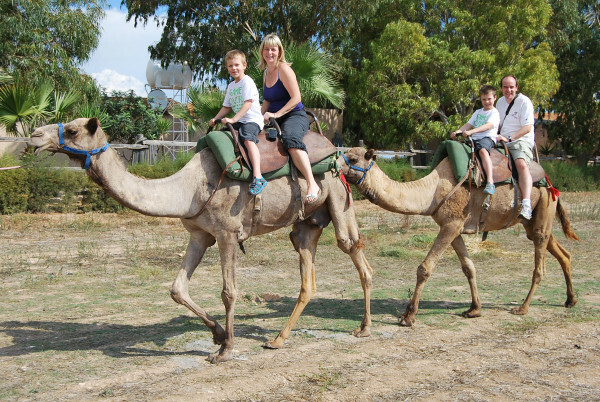 I have been connected to the world of Luxury Travel since very young age. I always believed, and I might be proven wrong, that to work in Luxury, you either had to be born in it, or work for it. Mine was the second, and I feel that I truly understand it, beyond the mere concept of self-indulgent. I get emails all the time, from new bloggers, looking for advice and inspiration. I always tell them: find your voice, find your audience and do what you enjoy doing, if you want it to come natural and be successful. Get in touch with him on Facebook, Twitter or LinkedIn. You can also email him. Or, for an introduction, reach out to us. Since bloggers rarely talk about themselves – they tend to talk about everyone else instead – we hope to showcase their skills, expertise and opinions in this blog series.Get to know them, learn from them and hopefully you will find an innovative way to collaborate with them. Today's blogger is Malin Richardson, a young woman who grew up in Italy, France, Belgium and Sweden with her family and her passion to travel was born this way leading her to start her own lifestyle blog back in 2007. She is now the 24 y/o CEO and Creative director behind Scandinavia's most read high end lifestyle/travel blog Mogi by Malin Richardson. With over 400 000 hits every month and over 80 000 unique readers she is the most successful blogger in the world in her field. On www.mogis.se Malin takes her readers on adventures around the world where she gives them the best advice where to stay, eat and what to wear while abroad. 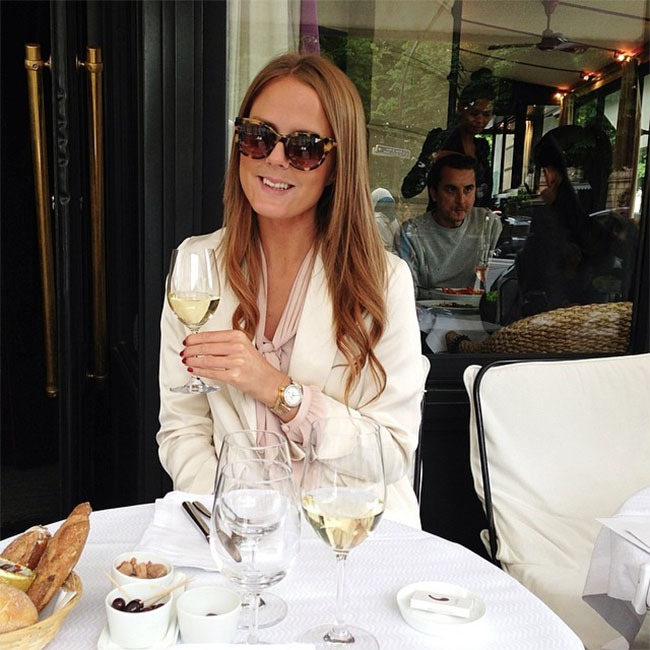 Her passion for her blog has landed her a job as a travel/food writer for ELLE Food & Wine. She has also been awarded for her photography which has landed her a job as an ambassador for Canon in Sweden. 1. Every blogger has a different story on how they got started blogging. What is yours? I grew up in Italy, France, Belgium and Sweden with my family and we have always travelled a lot during holidays so my passion for travel started that way. I have always loved to write and photography so I thought that a blog would be the perfect outlet for me to share my passions! I started my blog back in January 2007, I was one of the first to start a blog in Sweden and it grew very fast! 2. Like most successful blogger, you probably received hundreds of emails per month from luxury brands who want you to share their story. What makes you decide to work with a brand over the other? I decide which companies and brands that I would like to work with, I only want to work with brands that I stand for to a 100%. I am very picky! I haven't gotten one that knocks me out of my chair yet but I have had many amazing collaborations with luxury brands which I am very happy about! On my blog I only write about my own experiences so press releases isn't something that I use for my blog but of course I read them to keep up with what's going on! It would have to match my profile and be something that I would know my readers would really like! I usually work with email the most but I got approached by a company via my instagram (@mogis) just a couple of weeks ago and that worked great as well! 7. In your mind, what makes a successful blogger outreach program? Is it the incentive, the brand itself or the relationship you already have with the brand? In my opinion it is about the connection the blogger has with the brand, that you feel that the connection is 100% real! 8. What is the coolest gift you have received from a luxury brand in a blogger outreach program? I don't work with gifts that way, either I work with a brand in a collaboration or that they buy ad space on my blog. 9. Of all the social media channels you engage on, which one do you prefer and why? My blog www.mogis.se is my number one priority and then I like Instagram @mogis! 10. Which social media channels does your audience interact with the most? They interact a lot via my blog and via my Instagram! 11. In your opinion, what does it take to become successful on social media? You have to be passionate and dedicated to what you do and have patience and focus on quality and of course take care of your readers! 12. Do you monitor your Klout score on a daily/weekly basis? Do you think this social ranking is of any real value to luxury brands? I don't use Klout but perhaps this is something I will try in the future! 13. What is the main reason you blog on a daily basis? Is it for pleasure, for business or for both? My blog is my fulltime job and business since 3 years back so I update it 2 times per day so my readers always have something new to read! 14. Do you sometime receive compensation from luxury brands, whether it's in the form of cash or incentives, to blog about them? If we have a collaboration or if they buy an ad space they pay a certain amount of money to be seen on my site! 15. Apart from blogging, do you offer additional services to luxury brands who choose to work with you? Not right now! My main focus is blogging and Instagram! 16. 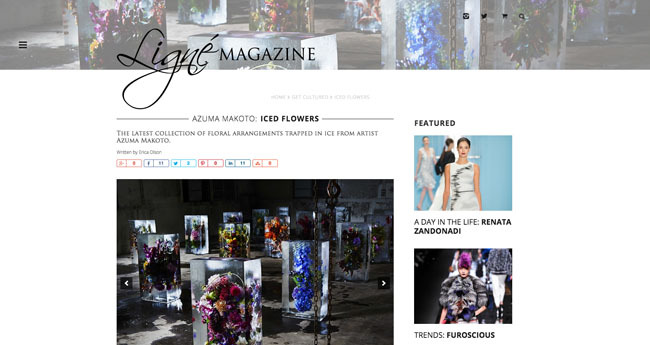 Do you think luxury brands should understand that blogging is also a business for some? I think that they have realized over the last few years that a professional blog is just like any lifestyle or fashion magazine out there. The audience that I have created the last 7 years are in many cases larger than magazines out on the market so why shouldn't I get payed for the work that I put in to it? But I have truly felt a big difference over the last 3 years which feels good. The prices to work with bloggers get higher for each year! 17. Do you manage more than one blog? If so, which ones? No www.mogis.se is the only blog I have! 18. What would you say is the best thing about being a luxury blogger? I love that I get to work with my passions and travel the world and discover new places, restaurants and amazing fashion! So far during 2014 I have been home in Stockholm for 1,5 months and the rest I have been travelling so it's very intense but I love it! 19. Have you rub shoulders with the rich and famous through your work as a luxury blogger? I had lunch at Matbaren in Stockholm back in 2011, a great Guide Michelin restaurant and next to our table sat Whitney Houston! That was quite amazing! 2 weeks ago when I was in New York I had lunch at Sant Ambroeus in West Village and Anne Hathaway and Mr Valentino himself sat next to our table! 20. If you had to mentor a new blogger, what is your go-to advice to become successful? I would say find your nisch and stick to it! Quality over quantity and you have to be passionate and dedicated to succeed in this business! Reach out to Malin Richardson through social media on Facebook, Instagram and Pinterest, or once again, if you need an introduction, don't hesitate to reach out to us. Since bloggers rarely talk about themselves – they tend to talk about everyone else instead – we hope to showcase their skills, expertises and opinions in this blog series. Get to know them, learn from them and hopefully you will find an innovative way to collaborate with them. 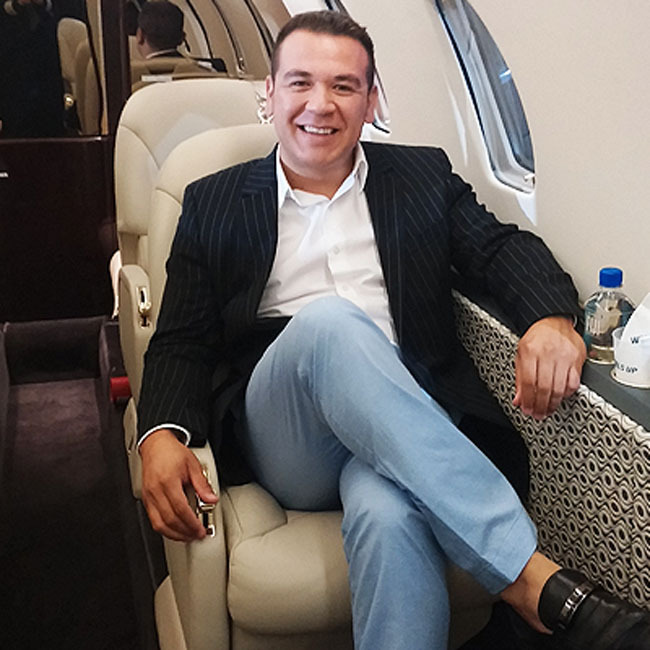 Today's blogger is Doug Gollan the Group President and co-founder of Elite Traveler Media Group, a pioneer in media targeting the global Ultra High Net Worth consumer. He is co-author of "The Sky's the Limit" and a contributor to Luxury Society. He is considered an expert on the super rich and their lifestyle habits. 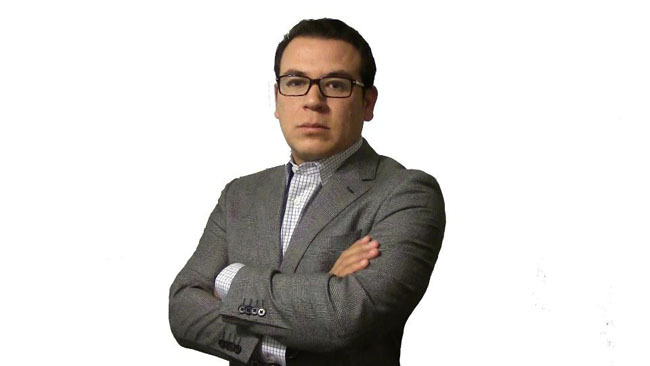 He has been referenced on NBC, CNBC, Fox News, The Wall Street Journal and The New York Times. He is a member of The Luxury Marketing Council and has participated in Northwestern University's "Future of Luxury" think tank and has been a guest lecturer at New York University's Stern School of Business. His blog Douggollan.com highlights opportunities for luxury marketers to sell more to the ever growing global Super Rich. "It was 2000 and I was running a $30 million dollar group of trade magazines in the travel industry vertical catering to travel agents. Our flagship Travel Agent magazine was a weekly and was large enough to be ranked by Advertising Age as one of the Top 10 magazines in the country by ad pages. Our former owner like many of the wealthy was unhappy with the deteriorating service level of the U.S. domestic airlines. He had switched his travels to private jets. Coming from the publishing industry, he noticed that while the passengers on private jets were rich, most of the magazines were targeted to the pilots and the only consumer reading material readily available was local newspapers and magazines, which were sporadic at best. With my B2B experience in controlled circulation, I knew if we could figure out the distribution, and put together a product that appealed to these folks, we would have a unique and desirable audience. I was ready for a new challenge and wanted to expand my knowledge beyond travel, so it seemed like a good idea. I convinced my colleague who was running sales to jump with me, he did, and we are still at it nearly 15 years later." 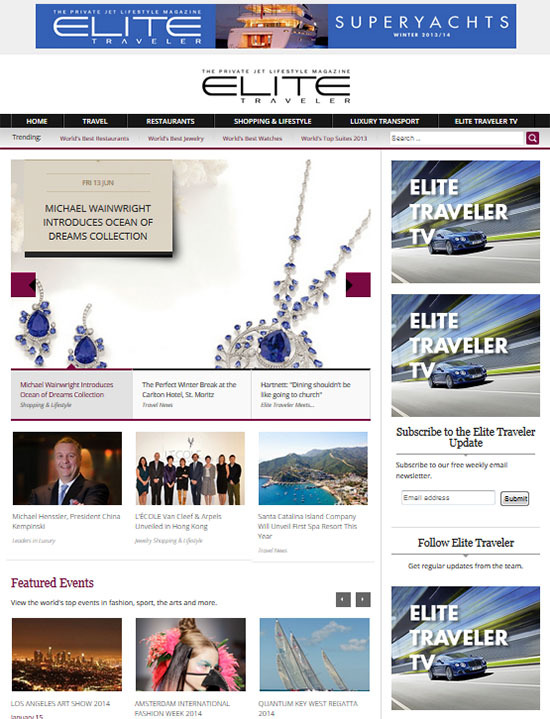 Tell us about Elite Traveler. Who is your core audience and what marketing opportunities do you offer luxury brands? 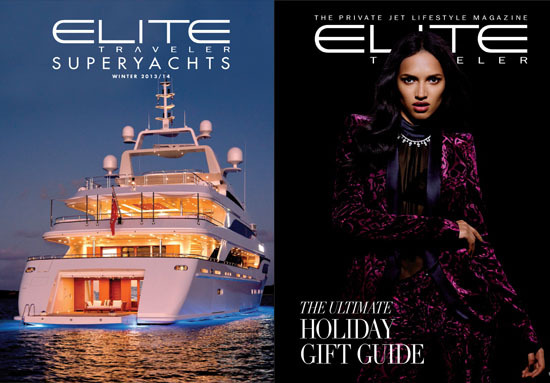 "Elite Traveler is positioned as the private jet lifestyle magazine. You now have the private jet, we are about everything else you might enjoy. We are the first and only publisher to claim private jet distribution and have it successfully audited by a third party on an ongoing basis, in our case BPA. 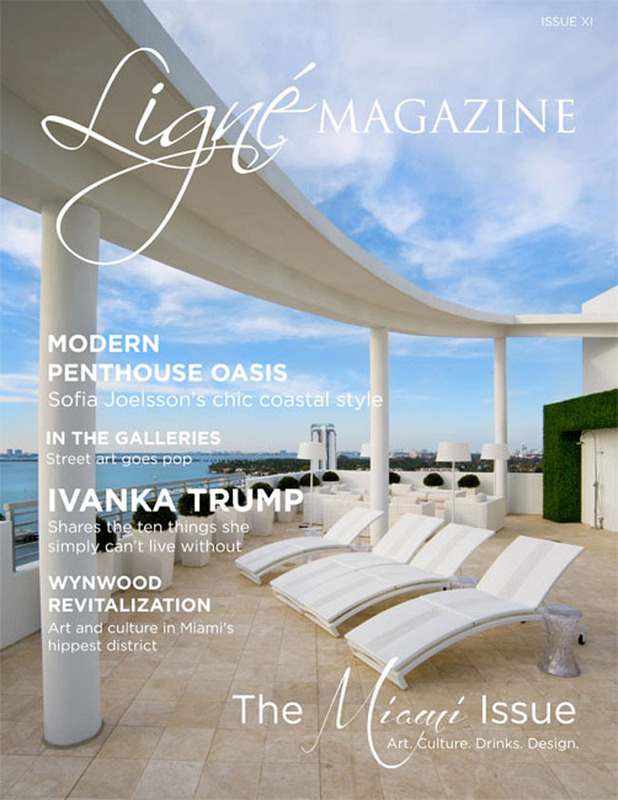 We have an audience of over 400,000 readers every issue with a Household Income of $1 million or more, about 10 times more than other publications such as Robb Report, Town & Country or Departures. We have a beautiful magazine, but others have nice magazines too. The simple difference is our distribution puts Elite Traveler in front of Ultra High Net Worth consumers, whereas others rely on charge card databases, subscriptions and newsstand meaning their audiences are necessarily more mass. 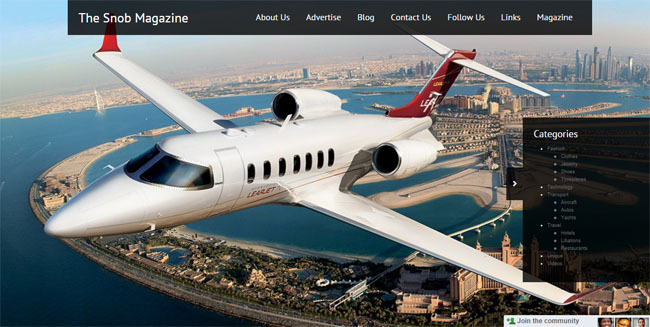 We have multi-platform marketing opportunities ranging from Elitetraveler.com, with over 300,000 unique visitors per month to Elite Traveler TV, our web based television channel and a global database of private jet owners. We have private events during events such as the Monaco Yacht Show and Ft. Lauderdale Boat Show where we have readers from around the world. I think the last point is our distribution is global – we are in over 100 countries, from Nigeria to China to Brazil to Russia. We like to say wherever in the world you’re from, wherever in the world you happen to be, if you fly by private jet Elite Traveler is with you. In other words, we reach this hard to reach audience. In the luxury business, you never know where your next top customer is coming from, or where he or she happens to be today. Our distribution covers that for our partners making sure they are always in front of them. Our two month publishing cycle adds value and shelf life." "When we launched in 2001 we were ahead of the curve in terms of making our information accessible, understanding that our readers were on their private jet, sharing the magazine with friends and family. We utilize our oversize format with lots of pictures. 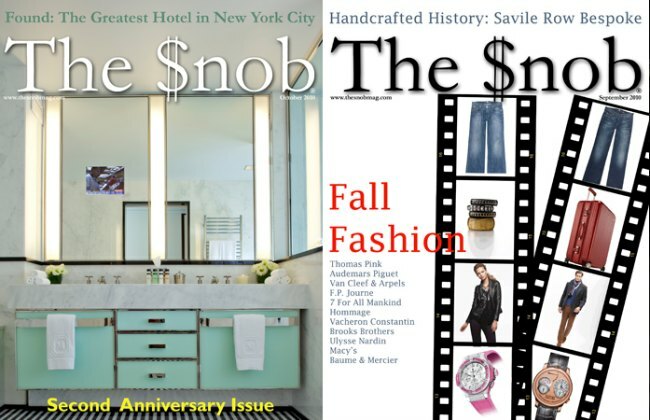 We are the only magazine in the world that is regularly featuring top suites as opposed to just the generic hotel, but then again, our readers are the folks who are spending $1,000 to $40,000 per night to stay in these places. As they say, a picture is worth a thousand words. Our format doesn’t have jumps. We follow a format that makes it easy for regular readers to find what they are looking for and our size and heavy paper re-enforce the private jet lifestyle image. I think a lot of luxury magazines talk to their readers like the storekeeper in Pretty Woman. We recognize 90 percent of UHNWs are self-made. They are not buying the products we cover as validation. They are buying them because they want them. Knowing our readers are the movers and shakers of the world, people who made innovations that changed millions of peoples lives, heads of state and even royalty, top celebrities and sports stars makes us very humble that they read our magazine!" "Richard Branson said the magazine business hasn’t changed its circulation model in 150 years. Our model of getting the magazine to private jets is different. We figured out a new way to slice bread, so for what we do I think the sky’s the limit, pardon the pun. Since the recession, and the end of free money from credit cards and home loans for the mass affluent consumer, marketers of luxury products are more focusing on wanting to reach people who can buy their products regularly, or heavy users in ad speak. We reach more of this target with less waste than any publisher in the world. I’m happy to repeat that, but if you look across the business world innovation rarely comes from incumbents. The fact that we were new to consumer publishing enabled us to create a model that the big players missed. It’s truly amazing. Advertisers challenge their media partners to come up with a big idea. That’s what we do every day – bringing our partners to the laps of the richest and most influential people in the world on their private jets. It’s very exciting and fulfilling!" We are active on Facebook, Twitter and Pinterest. We have over 25,000 followers. I think it’s hard to tell what percentage are UHNWs vs. regular folks who want to get a glimpse of the private jet lifestyle. I can’t say it’s something we do better or worse than lots of others. We like to observe. I guess the best way to put it is I think Mark Zuckerberg can rest easy. Many print magazines have established relationships with bloggers. How does this benefit both parties? It’s not something we have done yet, however it’s something we are looking at. David Ogilvy once said it takes around a dozen impressions to get the notice of a consumer. We want to create as many touch points as possible with our readers, yet we also know that it’s impossible to be great at everything. We don’t believe in vaporware, so we don’t like to dive into things until we know how to make them work for what we do, yet we also know there are bloggers who develop a very loyal following. I guess the best answer is watch this space. Magazines are first and foremost best for awareness and branding. Today in the luxury market, in virtually every segment - watches, jewelry, auto, fashion, hotels, shelter - there is product overload, meaning creating awareness of what you do and what you offer is more important than ever. Today’s Super Rich are self made and didn’t grow up with luxury brands. They may know the brand names, but they know a lot less about the products than luxury marketers believe. Regularly we have advertisers who track sales of jewelry sales in the hundreds of thousands of dollars and real estate in the millions sold directly from the magazine. We have had presidents of countries spend $500,000 booking a floor of suites after reading about it in Elite Traveler. 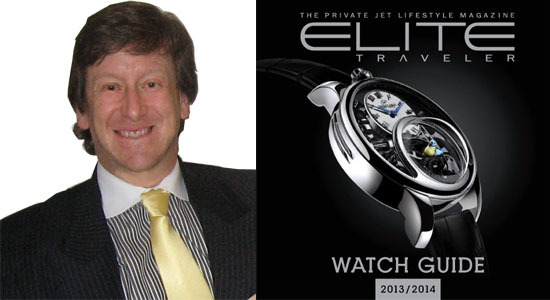 We have had royalty place million dollar orders for watches after seeing an ad in our magazine. These are people you can’t reach through credit card databases and you will never get to come to a boutique opening for a free glass of champagne, yet each issue we have over 400,000 readers like this. Yet it is hard to track every sale. We also tracked millions of dollars in transactions for watches, jewelry and accessories ranging from $1,000 to $10,000, which for the normal person is a big deal, but for our readers regular shopping. Every CFO will put my picture on the dartboard, but I believe that the overweighting of ROI takes away for the need that luxury companies need to spend more money creating awareness of their ever-growing line of products. As an example, it wasn’t too long ago Montblanc only made pens, now they wave accessories, watches, jewelry and so on. Do the super really rich know what you are selling? I often find sales reps for luxury brands have trouble keeping up with their own product lines. You also blog on a regular basis. What is your main goal as a blogger? I think the UHNW segment is underinvested by luxury marketers. The idea that you bring somebody into the brand through accessible price points such as fragrance and one day they become a billionaire and buy $100,000 necklaces is a fallacy. Today – globally – the best prospects for luxury companies know less about what these companies are selling than the junior manager sitting in her cube flipping through Vogue. The UHNWs made their money many times in some mundane industry. They figured out a better way to make widgets. Chances are they came from a middle class or even impoverished household. Look at Larry Ellison or Lewis Katz. Their early years were spent borrowing money from relatives and using credit cards to invest in their business, not taking fancy vacations. Their spouse and children probably worked in the business as well. Now they are rich and they know less about your brand than you think. It’s a great opportunity, and all research out there shows the rich are getting richer. The top 1 percent are going to become the core segment successful luxury brands need to build loyalty with. The next 9 percent are going to more and more buy less and less in luxury and will increasingly gravitate towards ‘look for less’ solutions. My blog is about my passion for highlighting the UHNW market and the marketing opportunities. I also love the spending by UHNWs creates jobs for entrepreneurs and folks who are trying to make ends meet. When an UHNW has a $3 million party, the money goes to the waiters, bartenders, florists, security guards, black car drivers, those freelancers who support the entertainers, the venue designers, the construction workers who build out the venue, on and on and on. When you love what you do, it’s not a job. It’s been said again and again, but I can attest it’s true. If interested to collaborate with Doug Gollan or the Elite Traveler Media Group, reach out through social media on Twitter at @EliteTravelerDG or on Google + at +DougGollan or once again, don't hesitate to ask us for an introduction. 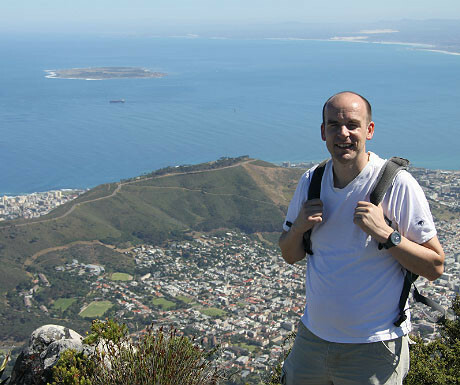 Today’s blogger is Dr. Paul Johnson of A Luxury Travel Blog. With over 25 years of experience in the travel industry, he is a repository of knowledge for the discerning traveler, whether you want to find out about charming hotels, gourmet restaurants or other finer facets of travel. The Daily Telegraph named A Luxury Travel Blog as one of the world’s best travel blogs, and that’s not for nothing – today it attracts more than 400,000 unique visitors per month. And the popularity is only increasing. Let’s take a look at what he has to say about luxury travel. 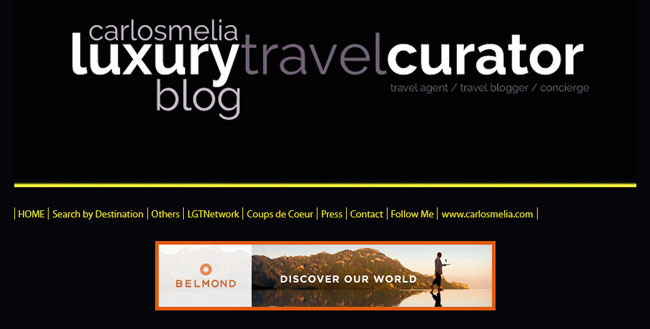 I started with A Luxury Travel Blog ( www.aluxurytravelblog.com ) back in 2005. In blogging terms, this makes me quite an early adopter and probably accounts, at least in part, for the site’s huge success. Prior to that (and still to this day), I have been a Director of The Dedicated Partnership Ltd. ( www.dedicate.co.uk ), which specialises in internet marketing for the tourist industry). I had been dabbling with a personal blog for a year or so prior to this and saw that most travel blogs at the time were backpackers documenting their travels. My interests lay in luxury travel, which didn’t seem to be catered for well by blogs, and the rest is history. 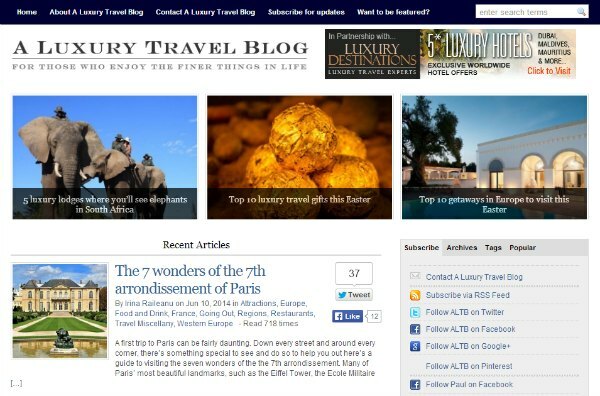 Today, A Luxury Travel Blog is widely regarded as one of the most successful luxury travel blogs out there. It was voted “one of the world’s best travel blogs” by The Daily Telegraph and “best for luxury” and now enjoys in excess of half a million unique visitors per month. (Few travel blogs even achieve a tenth of this figure.) I am also a Director at Kendal Holiday Cottages Ltd. ( www.kendalcottages.com ). 2. Like most successful bloggers, you probably receive hundreds of emails per month from luxury brands who want you to share their story. What makes you decide to work with a brand over the other? Actually, in my case – and I’m not exaggerating – I get thousands per month, not hundreds! What makes me decide to work with someone is the nature of the approach and the suitability of the proposal. Those that contact us are referred to our guidelines that explains a variety of ways in which they can work with us. Many take no notice of the guidelines and just fire off a press release. Others will pitch some kind of counter-proposal which doesn’t interest us. A minority (sadly) take time to go through the material we send them and carefully pitch in accordance with the site’s guidelines. If the fit is there, it’s the latter we choose to work with. 3. What is your take on press releases? Do you like receiving them or do you simply discard them? A big no-no. We don’t like receiving them and we state as much in our guidelines, yet so many still insist on sending them or adding us to their mailing list to receive all future releases. On receiving a release, we remind people of our guidelines for pitching to us. If they still persist after that, we just mark any such emails as spam (which is ultimately bad news for the PR company as all their emails to us then won’t be seen at all). Picture it from the blogger’s point of view: assuming the blog is popular, the blogger is getting lots of these on a daily basis. Adding to an already busy inbox with unwanted releases is only going to serve to irritate and make a poor first impression with the blogger. Furthermore, press releases – by their very nature – are invariably duplicate content (something which Google isn’t too thrilled about) so any blogger worth their salt will find little incentive in copying and pasting content from press releases. 4. What would make you choose to work with a brand on a giveaway campaign on your site? First and foremost, I’d be looking at whether the giveaway is a good fit for the site. Secondly, I’d be looking more closely at the prize itself – is it attractive and of significant value? If it’s not, it’s less likely to generate interest with readers of the blog, and so that would be of less interest to me. I would also be looking at whether the prize is open to all – we have a worldwide audience so a prize of two nights in a luxury hotel in Barcelona, say, is only really appealing if flights and transfers are included. I don’t like to run giveaways where the winner might have to spend money (on flights, for instance) in order to take up their prize. 5. If a brand wants to reach you, what channel should they use? Do you prefer email, social media or another means of communication? 6. In your mind, what makes a successful blogger outreach program? Is it the incentive, the brand itself or the relationship you already have with the brand? All can be a factor but, perhaps most importantly of all, is how it is pitched and how good a match it is. 7. What is the coolest gift you have received from a luxury brand in a blogger outreach program? A trip across Nepal and into India with Land Rover in 2013, trialling the brand new Range Rover Hybrid (it wasn’t even available to the public until the following year). We even got to go on an Everest flight as part of the trip. 8. Of all the social media channels you engage on, which one do you prefer and why? Probably Facebook although we have an even greater following on Twitter. I just find the interface more intuitive, easier to use and less overwhelmed by ‘noise’. 9. Which social media channels does your audience interact with the most? Facebook and Twitter. We’re also semi-active on Google+, LinkedIn and Pinterest, but it’s Facebook and Twitter where we have the greatest following (over half a million followers across the two combined) so that’s where we also tend to have the greatest engagement. 10. In your opinion, what does it take to become successful on social media? A lot of time, dedication and devotion, where possible, to individual, personal relationships. Constant, on-topic engagement is key to continued social media success. 11. Do you monitor your Klout score on a daily/weekly basis? Do you think this social ranking is of any real value to luxury brands? No, I pay no real attention to Klout although, because I’m a member of a blogging association that uses it in their database, I am aware that my own score is seemingly rather favourable. 12. What is the main reason you blog on a daily basis? Is it for pleasure, for business or for both? For both. It’s for business (my blog is my full time job) but I’m lucky in that I love my job, so it’s a pleasure also. 13. Apart from blogging, do you offer additional services to luxury brands who choose to work with you? Yes, I offer online marketing consultancy services for the tourist industry. This can cover anything from helping with website analyses, SEO analyses, travel writing, travel photography and social media training and assistance. 14. 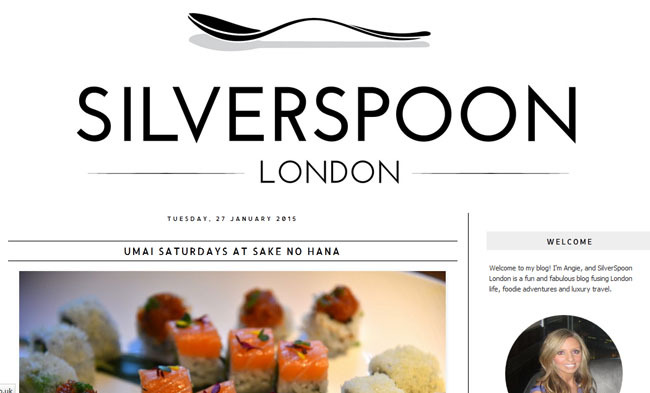 Do you think luxury brands should understand that blogging is also a business for some? Yes! For serious bloggers, it is very much a business. I think brands are slowly waking up to the fact that some bloggers carry a hugely significant influence. 15. Do you manage more than one blog? If so, which ones? I have run several blogs in the past but currently I am focusing purely on A Luxury Travel Blog. Keep an eye out for www.aluxuryfashionblog.com and www.aluxuryhomeblog.com too – when the time is right, I might just launch them also. I also oversee the content on blogs for a few travel-related clients. Follow Paul’s new adventures on Facebook, Twitter, Google+ and Pinterest. Or, get in touch with him via the site’s contact form. Or, if you are feeling a little shy, reach out to us for an introduction.